DYNAMIX 0.3m Cat6A Grey SFTP 10G Patch Lead. (Cat6 Augmented) 500MHz DYNAMIX 0.3m Cat6A Grey SFTP 10G Patch Lead. (Cat6 Augmented) 500MHz Slimline Moulding. 26AWG. DYNAMIX 0.5m Cat6A Grey SFTP 10G Patch Lead. (Cat6 Augmented) 500MHz DYNAMIX 0.5m Cat6A Grey SFTP 10G Patch Lead. (Cat6 Augmented) 500MHz Slimline Moulding. 26AWG. DYNAMIX 1.5m Cat6A Grey SFTP 10G Patch Lead. (Cat6 Augmented) 500MHz DYNAMIX 1.5m Cat6A Grey SFTP 10G Patch Lead. (Cat6 Augmented) 500MHz Slimline Moulding. 26AWG. DYNAMIX 2m Cat6A Grey SFTP 10G Patch Lead. (Cat6 Augmented) 500MHz DYNAMIX 2m Cat6A Grey SFTP 10G Patch Lead. (Cat6 Augmented) 500MHz Slimline Moulding. 26AWG. DYNAMIX 3m Cat6A Grey SFTP 10G Patch Lead. 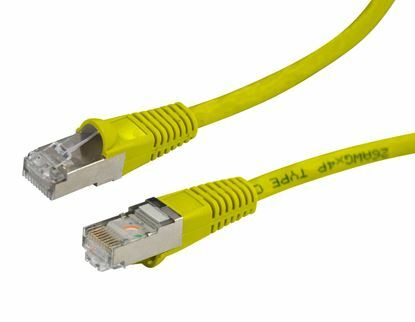 (Cat6 Augmented) 500MHz DYNAMIX 3m Cat6A Grey SFTP 10G Patch Lead. (Cat6 Augmented) 500MHz Slimline Moulding. 26AWG. DYNAMIX 5m Cat6A Grey SFTP 10G Patch Lead. (Cat6 Augmented) 500MHz DYNAMIX 5m Cat6A Grey SFTP 10G Patch Lead. (Cat6 Augmented) 500MHz Slimline Moulding. 26AWG. DYNAMIX 7.5m Cat6A Grey SFTP 10G Patch Lead. (Cat6 Augmented) 500MHz DYNAMIX 7.5m Cat6A Grey SFTP 10G Patch Lead. (Cat6 Augmented) 500MHz Slimline Moulding. 26AWG. DYNAMIX 10m Cat6A Grey SFTP 10G Patch Lead. (Cat6 Augmented) 500MHz DYNAMIX 10m Cat6A Grey SFTP 10G Patch Lead. (Cat6 Augmented) 500MHz Slimline Moulding. 26AWG. DYNAMIX 0.75m Cat6A Grey SFTP 10G Patch Lead. (Cat6 Augmented) 500MHz DYNAMIX 0.75m Cat6A Grey SFTP 10G Patch Lead. (Cat6 Augmented) 500MHz Slimline Moulding. 26AWG. DYNAMIX 1m Cat6A Grey SFTP 10G Patch Lead. 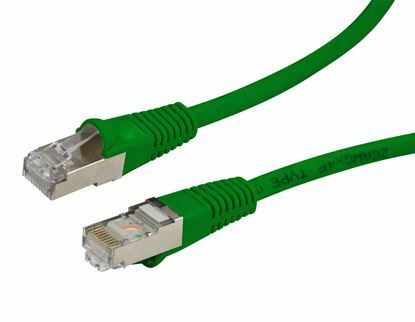 (Cat6 Augmented) 500MHz DYNAMIX 1m Cat6A Grey SFTP 10G Patch Lead. (Cat6 Augmented) 500MHz Slimline Moulding. 26AWG. DYNAMIX 15m Cat6A Grey SFTP 10G Patch Lead. (Cat6 Augmented) 500MHz DYNAMIX 15m Cat6A Grey SFTP 10G Patch Lead. (Cat6 Augmented) 500MHz Slimline Moulding. 26AWG. DYNAMIX 20m Cat6A Grey SFTP 10G Patch Lead. (Cat6 Augmented) 500MHz DYNAMIX 20m Cat6A Grey SFTP 10G Patch Lead. (Cat6 Augmented) 500MHz Slimline Moulding. 26AWG.